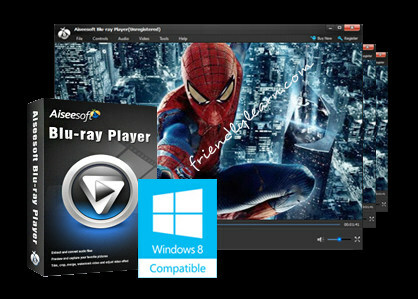 Friendlylearn.com - Aiseesoft Blu-ray Player is one easy-to-use player for PC. It can help users enjoy any Blu-ray movie with outstanding and perfect video quality at home. This amazing player can not only play Blu-ray Disc, but also support Blu-ray folder and ISO image files. This Blu-ray Player is reliable and expert in playing Blu-ray discs released in different regions and dates trough simple clicks of mouse.